Mesquite Hickory Smoke Infused Olive Oil – Olive That! This oil’s bold, distinctive taste is infused with natural wood-smoke flavors of mesquite and hickory that impart an ashy and meaty impression. Drizzle the oil over everything from steaks and chops to grilled vegetables and fresh crusty bread. 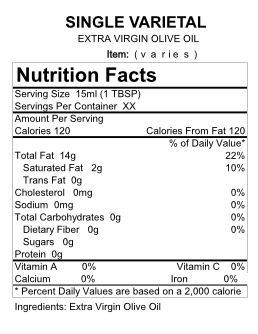 A very aromatic infused extra virgin olive oil; this partners well with many different items. Bold and assertive with distinct wood-smoked flavors of mesquite and hickory, this is a truly unique extra virgin olive oil. The aroma and taste of this singular olive oil impart wonderful smokiness without sharpness. Deliciously versatile, it is a fantastic complement to meats and vegetables. Drizzle over everything from chops to grilled vegetables, seafood, baked beans and even eggs! This is a fun olive oil to experiment with.